David Yurman defines jewelry for all lifestyles through unconventional artistry. Sculptor David Yurman and his wife, Sybil, a painter, launched their house of design in 1980. They collaborate to create jewelry that is both a style statement and a work of art, made of the finest precious metals, rare gemstones, and innovative materials. 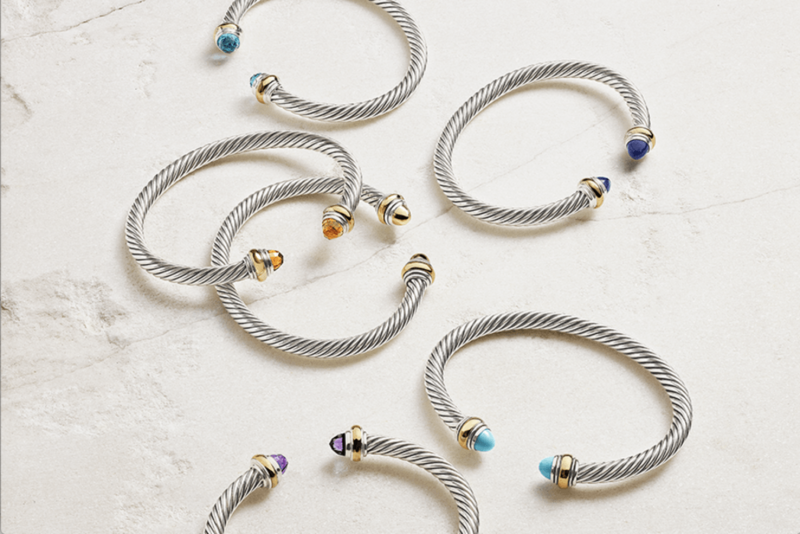 From iconic Cable bracelets to inventive new creations, these collections for women and men express effortless American luxury and superb craftsmanship.